Home » Blog » What Are The Best Facebook For Business Tips You Need To Follow? 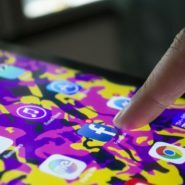 What Are The Best Facebook For Business Tips You Need To Follow? With more than 2 billion active users, Facebook remains to be one of the biggest social media platforms in the planet. That is why it is no wonder that enterprising individuals and organizations have utilized it for business purposes. If you are a budding entrepreneur, Facebook for business should be one of your primary focuses. This social media platform has increased the online presence of millions of business, big and small, around the world. If you want your business to succeed you must not ignore the effective help that Facebook can provide your business. It may be difficult for you to use Facebook for business as you are just starting. However, with a few effective tips on how to effectively use it, you should be on your way to boosting your online presence and income in no time. Here are some of the most effective tips that you need to know in using this social media platform for business purposes. Since you are using Facebook for business, you should create a Facebook business page, instead of creating a personal profile for your business. Creating a business page will enable you to take advantage of the content creation tools, analytics/insights, and paid promotional opportunities offered by this social media platform. You won’t be able to use these tools if you create a personal profile for your business. You also need to know who your target market is. Facebook has effective targeting tools but if you haven’t yet determined your real target market, these tools will be of no avail. Therefore, your first step is to make sure that you know where and to whom you will sell your product or service. Once you’ve done that, you can now use whatever Facebook targeting tools that are being offered in the site. It is always true that a picture is worth more than a thousand words. Therefore, when choosing a profile picture, you should select an engaging and easily recognizable image. This image will be the one that will show up every time an online searcher uses Facebook Search. So, if your profile picture is attractive and easily recognizable, you can bet that the searcher will be tempted to click on it more than the blander pictures of your competitors. At least, use the clearest picture or image on your portfolio. Since you are creating a Facebook business page, you might be tempted to be too professional. Avoid this tendency by bringing in your personality to the page. In other words, you should not be too business-like where your audience seems to get the impression that you are only after their money. So, you should try to be personable in all the contents that you post in your Facebook business page. You can do this by sharing related contents that are not only focused on marketing your product. Don’t just rush the content of your ‘About’ section. You must remember that it is one of the most important sections of your Facebook business page. This is where a newcomer will learn about the Who, What, Where and When of your business. So, fill this section with the most important information about your business and don’t forget your milestones and awards as well. This will give a newcomer on your business page, a thorough introduction of what he can get out of your business. Of course, you need to focus on your product or service. But you need to spread the word out in the open. One way of doing this is to link your content to other relevant contents in the internet that you think will also interest your target audience. You can catch two birds in one stone in this way because you will not be spending more time than you should in writing your own content, but you can still fill up your Facebook business page with relevant contents from other sites. And then these outside links will also share your content with their market and the market’s awareness of your product will increase. You may have all the effective contents and links on your Facebook business page but if you don’t have a CTA (call-to-action) button, your results will not be as much as you hoped it would be. Your target market needs encouragement to do what you want them to do. By adding buttons like “Book Now,” “Sign Up,” or “Watch Video,” you can drive up more traffic in your Facebook business page.